The Nobel Prize Award Ceremony takes place tomorrow, December 10, in Stockholm, Sweden, as it does each year, on the anniversary of Alfred Nobel’s death. These prestigious international awards recognize outstanding achievements in chemistry, economics, literature, peace, physics, and physiology or medicine. On this exciting occasion, and in the spirit of celebrating the 2016 Nobel Laureates, we offer the glimpses of Nobel ceremonies and celebrations in the past through the collections of Nobel Laureates who have donated their personal papers and manuscripts to the National Library of Medicine, and to collaborating institutions, digitized and available online through on NLM’s Profiles in Science. Profiles in Science includes selections from the manuscript collections of eleven laureates who have received the Nobel Prize in Physiology or Medicine and two who won the Nobel Prize in Chemistry. * One of the laureates, Linus Pauling, won both the Nobel Prize in Chemistry (1954) and the Nobel Peace Prize (1962)—the only person in history to win two unshared Nobel prizes. 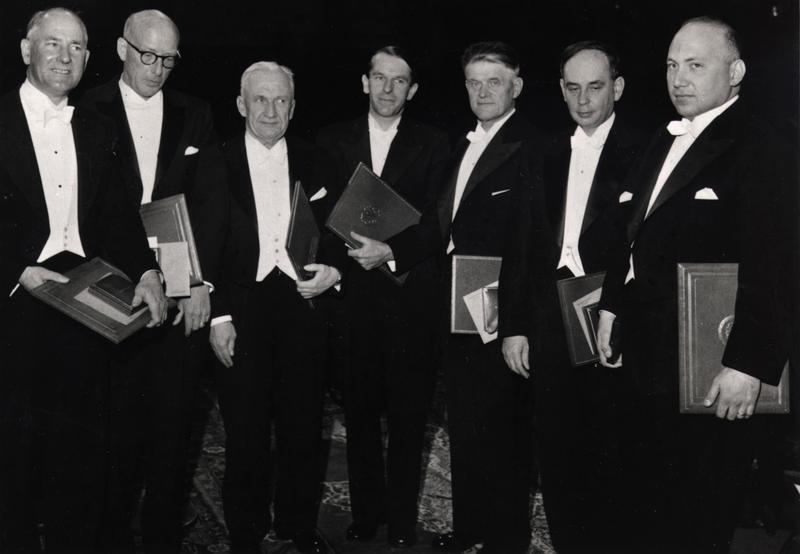 On Profiles, researchers can learn all about the background, research, and achievements of these Nobel Laureates, and access their correspondence, photographs, oral histories, speeches, and other materials, including reflections and documentation of their own experiences at the Nobel Prize award ceremonies. Their collections include images from the awards ceremonies themselves, including those honoring the work of NIH Nobelists Marshall Nirenberg (1968 Nobel Prize in Physiology or Medicine), Julius Axelrod (1970 Nobel Prize in Physiology or Medicine), and Christian Anfinsen (1972 Nobel Prize in Chemistry). These photos show the event’s traditions, where each Laureate, in formal evening dress, receives a diploma and a medal from the King of Sweden. In some cases, the collections include the actual Nobel Prize diploma, and in the special case of Marshall Nirenberg, through the generosity of his widow Dr. Myrna Weissman, the Nobel medal itself, which is on display in the Library’s History of Medicine Division Reading Room. While certainly the main event, the awards ceremony is just one part of week full of festivities, lectures, and banquets. In the collections you can see Barbara McClintock (1983 Nobel Prize in Physiology or Medicine) deliver her Nobel lecture, and read her Nobel banquet speech, handwritten written on the stationary of Stockholm’s Grand Hotel. Martin Rodbell’s (1994 Nobel Prize in Physiology or Medicine) banquet “speech” is also available, in poetic form, as well as the speeches of Julius Axelrod, Marshall Nirenberg, and Linus Pauling. You can also see a photograph taken on Santa Lucia Day, a festival of light celebrated on December 13, a traditional part of the Nobel festivities. Of course, the celebrating begins early at the home institutions of the laureates, and the Profiles collections feature some of the fun and festivities there as well! You can find these items and other Nobel Prize related materials on NLM’s Profiles in Science website and on the Profiles in Science Pinterest page, and in the manuscript collections of NLM. * Profiles in Science features the papers of Nobel Laureates Christian Anfinsen, Julius Axelrod, Francis Crick, Arthur Kornberg, Joshua Lederberg, Salvador Luria, Barbara McClintock, Daniel Nathans, Marshall Nirenberg, Linus Pauling, Martin Rodbell, Albert Szent Gyorgyi, and Harold Varmus. NLM’s manuscript collections also include the papers of Carlton Gajdusek. 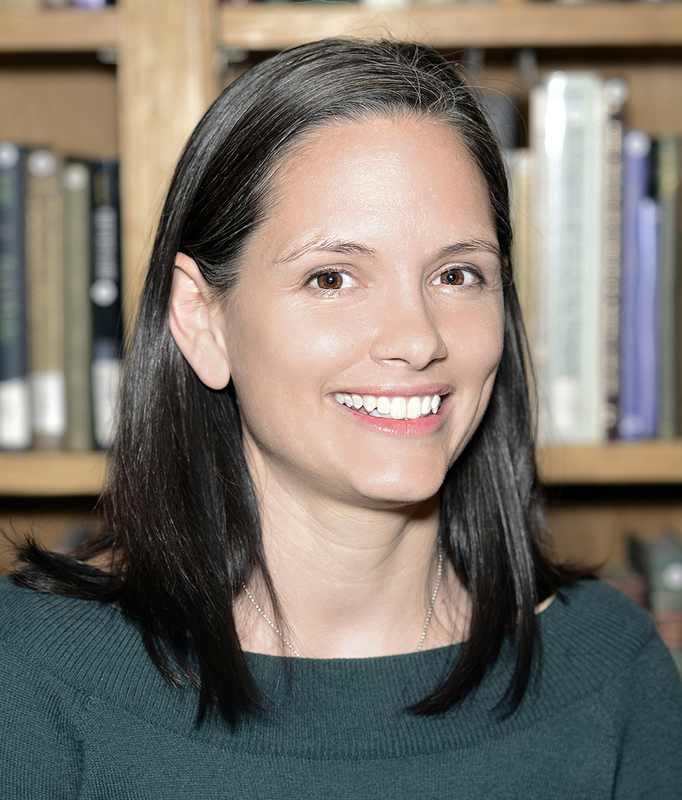 Christie Moffatt is Manager of the Digital Manuscripts Program in the History of Medicine Division at the National Library of Medicine and Chair of NLM’s Web Collecting and Archiving Working Group.